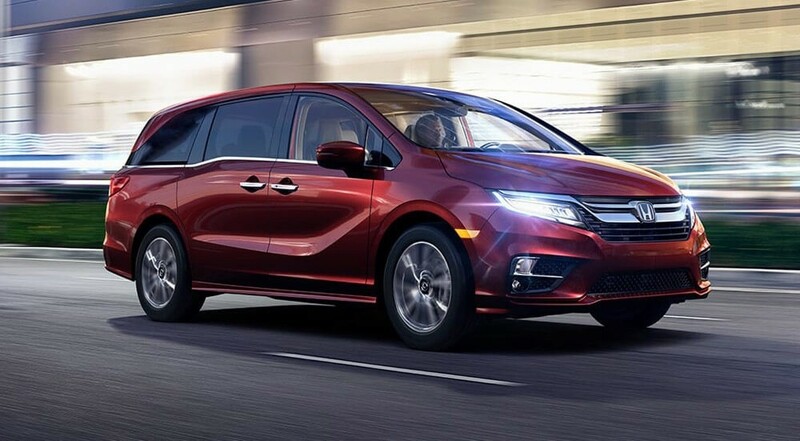 All 2019 Odyssey models come with a rearview camera, a tire pressure monitor, and a vehicle stability assist system. Add active safety features to your next Honda van. Collision Mitigation Braking and Road Departure Prevention are included in the EX trim and above. Carry up to 5 car seats in Elgin, IL with second and third row LATCH anchors. All models include lower anchors and tether anchors. Enjoy a Blind Spot Information System keeps an eye on traffic behind the vehicle, and Auto High-Beam Headlights automatically activate when needed. Compare the powerful Honda Odyssey to the Honda Pilot and the Chrysler Pacifica, and explore the Odyssey technology features, before you visit Brilliance Honda of Crystal Lake. You can even apply for financing before you arrive to get a great rate on a safe new Odyssey. Contact us now with any questions about Odyssey interior features today!